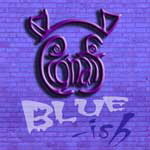 Welcome to the Pig’n’aif website. 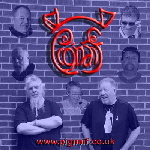 Pig’n’aif is a music project working with the Rising Records independent label based in Sheffield (UK). It is the working name for a collection of projects and bands put together and performed with over the years, by Pete Bangert and friends. Pig’n’aif is pronounced as Pig-an-Ayf in a typical Yorkshire accent and is an old- fashioned, surreptitious and non-blasphemous curse , (Please feel free to use it - we do often...). The name, originally born out of frustration, reflects the fact that it has often been a pig (and an ’aif) to bring these projects to fruition, or indeed to get the musicians together to play the material, but it also reflects a lighter side to things. We’re pleased to say that our ’Electronicaliis’ album is due for release later this year. It’s a Prog-Electronica album, heavily synth based featuring guitar synth work as well as keyboards and the normal guitar line-up. A slight departure from our normal style, but fully consistent with the Pig’n’aif philosophy. We pre-released ‘My Amie’ from the album, as a video track featuring the fanciful flight of the Pig’n’aif Logo Ship back home. The track was included in a compilation album by Factory Fast Records (see below) and has generated a significant amount of interest. The video is of course available on the Pig’n’aif channel on YouTube. ‘Musicalis Grumpiosa’ will be the next Pig’n’aif album release and is currently scheduled for later this year. This particular Pig'n'aif album has been battling with other albums for production time, but we’re pleased to say it is now getting the attention it deserves. There is a review of the ‘Electronicalis’ album track ‘My Amie’ in this blog. Thanks guys. 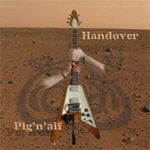 The latest Pig’n’aif album release, ‘Handover’ continues to do well, picking up a lot of internet attention. Why not check out the clips on the site and find out where to download the album here? Factory Fast Records of New York (USA). 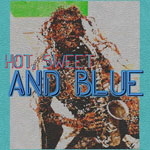 ‘Hot, Sweet And Blue’ in August 2015. ‘Dead Man Blues’ featured on the ‘Road To The Sun’ released in November 2015. 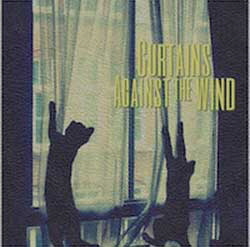 ‘Curtains Against the Wind’ compilation released on 12 January 2016. 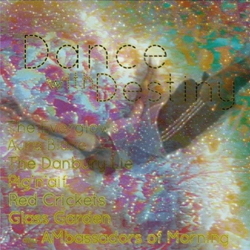 Our most recent was of course ‘My Amie’ which was included on ‘Dance With Destiny’ in March 2017. We greatly appreciated all of that. 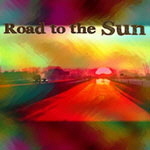 This is all exciting news and it has generated some good radio play and publicity in the States and elsewhere for us. Meanwhile, back in the studio, Pete and the guys are busily at work on other new album projects, in the background to finalising the current clutch of releases. There is definitely another album on the way which they are just calling (typically), ‘The New Album’, because they have no idea which musical direction it is going in. 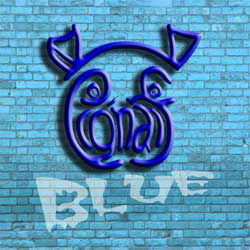 At the moment it is prog, rock and blues, but isn’t everything? This project has a number of finished articles already in the can and is just awaiting completion. There is also some more accompanying video on the way. As far as other peripheral projects are concerned, Pete is heavily involved in completing the definitive Phoenix Rising album ‘After The Fire’. This album is the studio version of much of the original Phoenix Rising catalogue and is intended to complete the saga of that band. Pete has said that “After that point, any new Phoenix Rising-style material will be produced back under the Pig’n’aif banner. Some of that material is already included in ‘The New Album’ “. 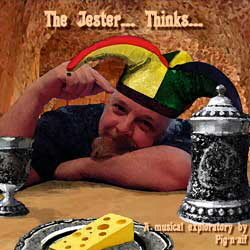 Check out our Twitter feed, for up-to-the-minute info on further Pig’n’aif projects and releases, as well as news of radio plays etc..
‘The Jester’, through the blues rock ‘Gotta Be Jokin’ ‘ to the out-and-out prog rock suite of ‘Genus Holbytla’. The album deals with a number of the typical emotions we all face at sometime or other in our complex lives and is definitely a retrospective look through Pete’s life as the composer. The album also features vocals from the inimitable Mick Shedd. Since we entered the glittering and extremely modern (for us anyway) world of digital download, our music is available from most download sites world-wide including iTunes, Amazon, Spotify and many many more. You can find more info about past members of the various project line-ups on the Biogs’n’pics pages and see some live pics of the band on the Background page.